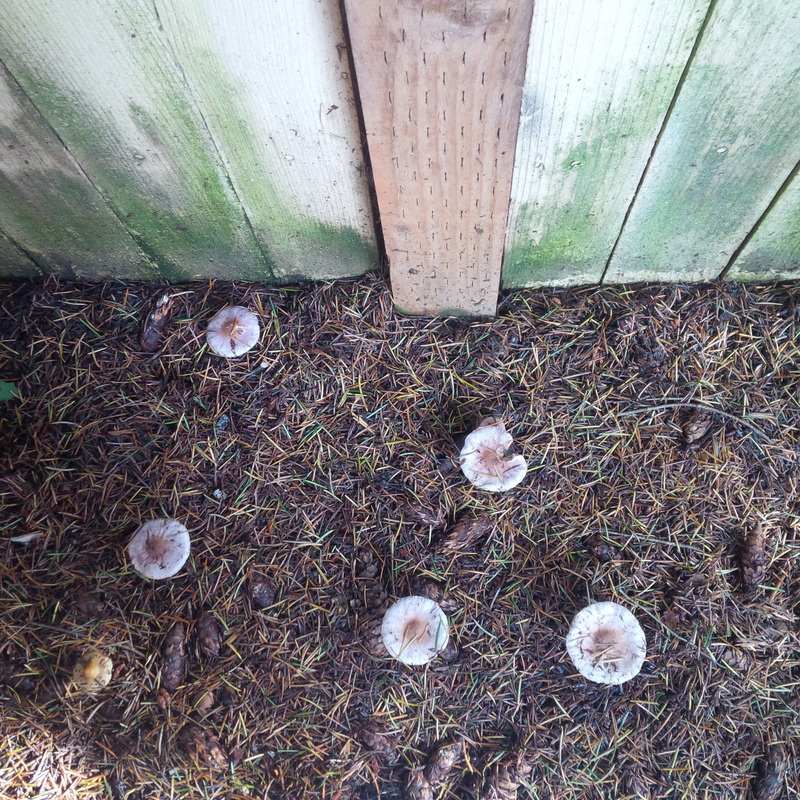 The mushrooms first appeared at the bottom of the garden by the bleached wood fence. They prodded up through the carpet of dead needles and spread their bone-white caps for a week before sinking back into the earth. That was the first year. The second year they reached the tree, the third year the washing line. It was a slow process, the invasion, but we found out later that time flowed differently for them. As we flashed above their heads they moved patiently through the soil, and by the time we realised what was coming up from beneath us it was too late. The mushrooms are a bit sinister, but I had no idea how much. You could really go somewhere with that. That is scary. And close to the truth. See http://www.scientificamerican.com/article/strange-but-true-largest-organism-is-fungus/. Scary (again). Just the right amount of slow creepiness. Those last three words change everything. I love it! You really are a fun guy! I love this…you gave them heartbeats. I can't seem to put my name here…susannah bianchi athingirl.com. Loved your piece. Thanks for the link. I knew that what we see at the surface was only the tip of the organism, but I didn't know they got THAT big. I thought I was writing science fiction…turns out I was just writing science. Thanks Janet. I always thought mushrooms were slow and creepy. There's not mush room around here for more bad jokes. Thanks Susannah. I've always used Blogger so I stick with it out of familiarity, but I think WordPress has a way better commenting system. Thanks for leaving your name – I just saw your site – I love the piece you wrote! It conveys the atmosphere and character extremely well. Thanks Anonymous. I'm always pleased when hacker groups like my flash fiction. I started with Blogger. In fact, I used the same bookcase background. About three years ago I switched over to WordPress and have no regrets. It's easier to navigate, easier for commentors and much more interactive. I hope you don't mind putting in my two-cent's worth.